Mention the word ‘Guru’ to most anglers and they will think about items such as Hybrid and X-Safe Method feeders and ready-tied rigs. So the company’s first venture into the rod market in March came as a bit of a pleasant shock. Thousands flocked to The Big One Show in Farnborough for a first glance at these Aventus rods, which should be available in the shops this August. 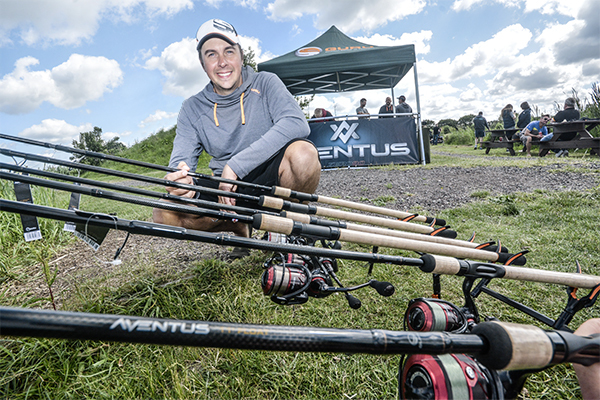 Meanwhile, last week the Aventus range made its official UK debut at an invite-only dealer day at Partridge Lakes, near Warrington, and Angling Times was on hand to catch the action. Six rods make up the range – 11ft and 12ft Float, 10ft and 11ft Feeder and 12ft and 13ft Distance Feeder models. Priced between £375 and £450, they won’t suit everyone’s budget, but anyone who does splash out is in for a treat. They all ooze quality, and boast several innovative features. The handles are longer than usual – this is to aid casting – and finger grips are a novel addition. Reel seats on the Float rods are extremely slim, for added comfort when using labour-intensive tactics such as the pellet waggler, and the guides on all rods are built so as to stop the line wrapping around them.